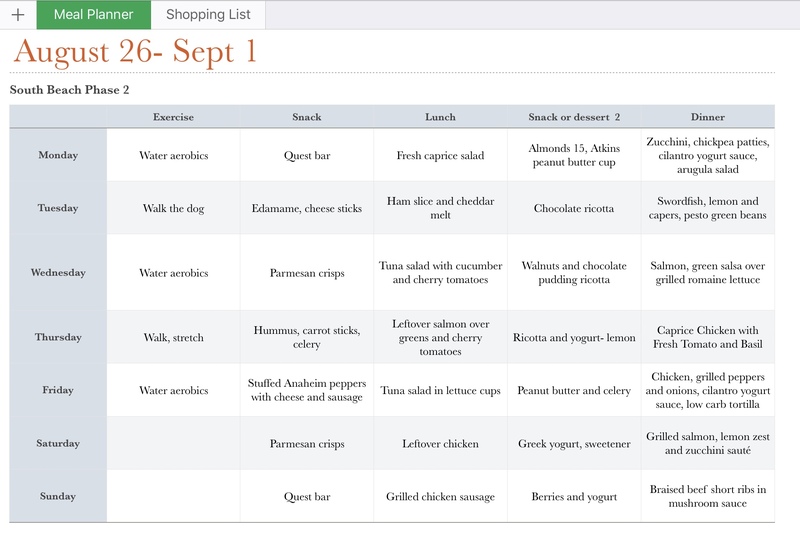 South Beach Diet, The Lost and Found Phase and Restaurant Tips – What's for dinner, Doc? I wasn’t really lost but I did take a detour and now with some planning I’m back on track. There’s nothing like a lake house vacation followed by a Southern California Wedding Week to derail good intentions. The most difficult part of being on vacation for me is having to eat out but I was able to stay focused by choosing delicious California fish and seafood and an abundance of farm fresh fruits and veggies. Of course California wines are also delicious and difficult to resist. I didn’t try very hard. 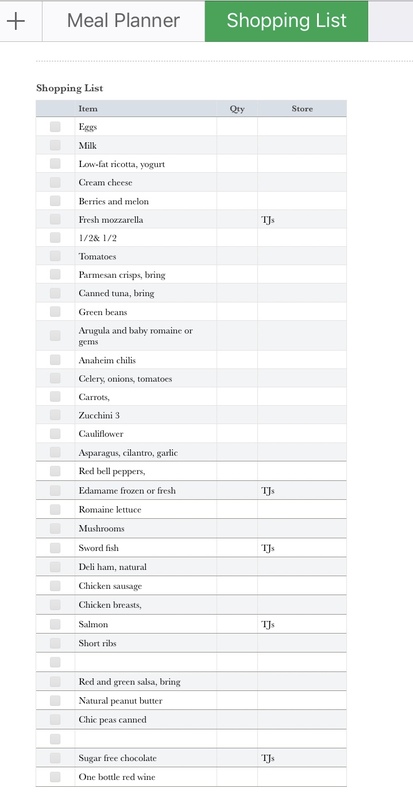 Look for fairly plain meat and fish with vegetables and/or salads. Ask for extra veggies instead of the potato or fries. Ask for olive oil and vinegar on the side so you know what’s going on your salad. Pick a meal sized salad and add chicken or shrimp. If you don’t like the salad options, pick a sandwich that looks good and ask for the “innards” to be put on top of a green salad instead of a bun. Order the burger, steak sandwich, etc, without the bun. Have a salad on the side. If it’s a “breakfast all day” type of place, order an omelet for lunch or dinner, with low-carb veggies such as spinach, peppers, mushrooms, etc. Have fruit on the side skip the toast and home fries. Substitute salad or veggies for higher carb sides like fries, rice, or macaroni salad. Ask for no bread basket or chip bowl–-or at least keep it as far from your seat as possible. Order nothing that is deep fried because these almost always have breading. If you’re feeling dessert-deprived, taste your tablemate’s. A small spoonful could be all you need to satisfy your curiosity or bring a piece of sugar free chocolate to satisfy your dessert craving. Recipe links: Try some new and exciting vegetable recipes this week. There’s no need to get bored on the South Beach Diet. Pesto green beans: Whirl a bunch of fresh basil, 2 tablespoons of olive oil, 1/4 cup of pine nuts or walnuts with 2 ounces of grated Parmesan. Stir fry fresh green beans until crisp tender and top with a dollop of pesto. Save the rest of the pesto for zucchini noodles, grilled chicken or fish. No need for pasta. Zucchini Chic Pea Patties: Combine 2 cups of grated drained zucchini, one egg, lemon zest and 1-2 tablespoons of chic pea or almond flour. Griddle fry in avocado oil. Serve with plain yogurt, cilantro and garlic whirled into a sauce. Grilled Romaine Lettuce: You have to try this. It’s simple, smoky and delicious. Cut one head of romaine lettuce in half length wise, keeping it attached at the base. Wash throughly. Brush lettuce with olive oil, balsamic and garlic vinaigrette on each side. Grill on high heat for 60 seconds on each side, just until you see grill marks. Serve with a sprinkle of crisp bacon bits, blue cheese or feta and more dressing on the side. You can also serve it with yogurt ranch dressing, caramelized onions and bacon. 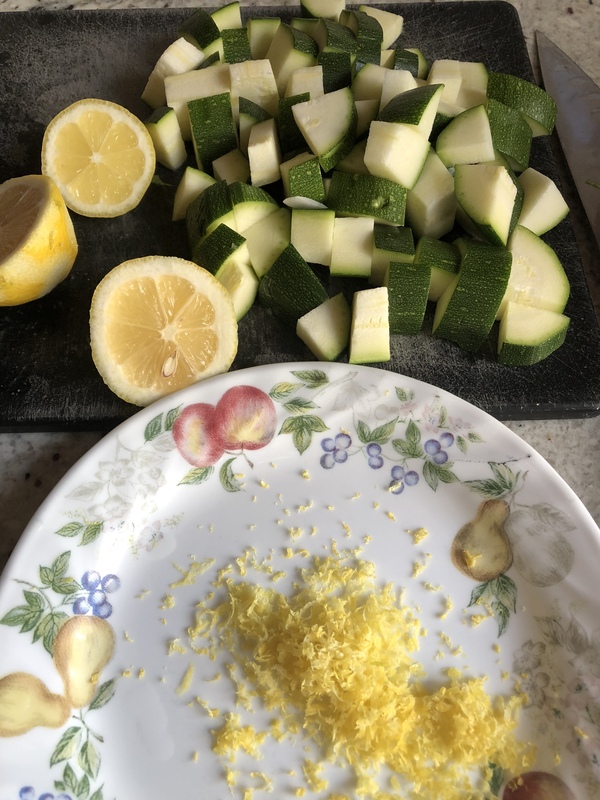 Sauté sliced or chunked zucchini pieces in olive oil with one cloves of garlic, zest of one lemon and about 2 tablespoons of fresh lemon juice to taste. Leave the zucchini a dente for a tender crunch.